This year it's Tuesday, March 17th! 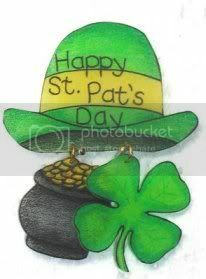 With many being bit by the leprechaun earlier in time for the many parades through the country beginning today. The oldest and largest of the St. Paddy’s Day parades in the Western Hemisphere, dating back to 1762 -- New York City's St. Paddy's Day Parade -- and this year marks NYCs 224th St. Patrick's Day Parade! NYC's 2015 Parade can be viewed on 5th Avenue between 44th Street and 79th Street. If you are not in NYC, you can watch the parade at this website beginning at 11:00am on March 17th.